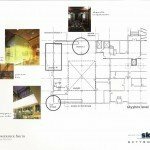 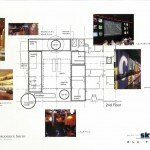 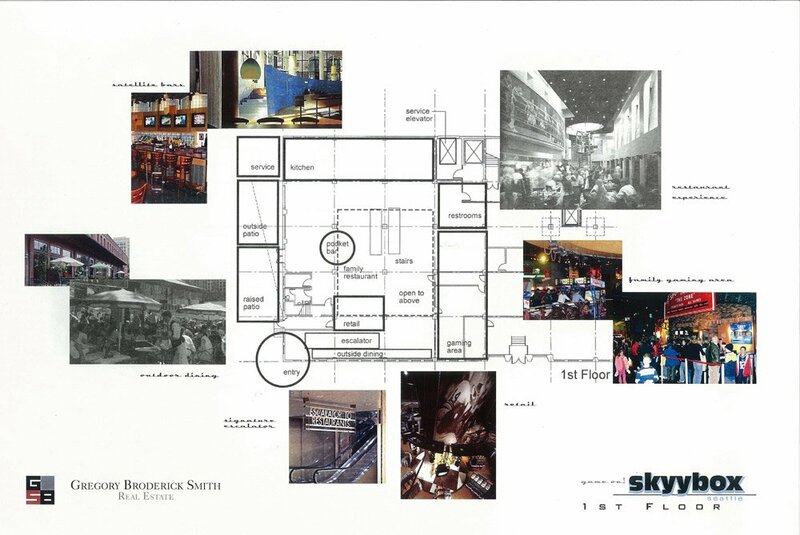 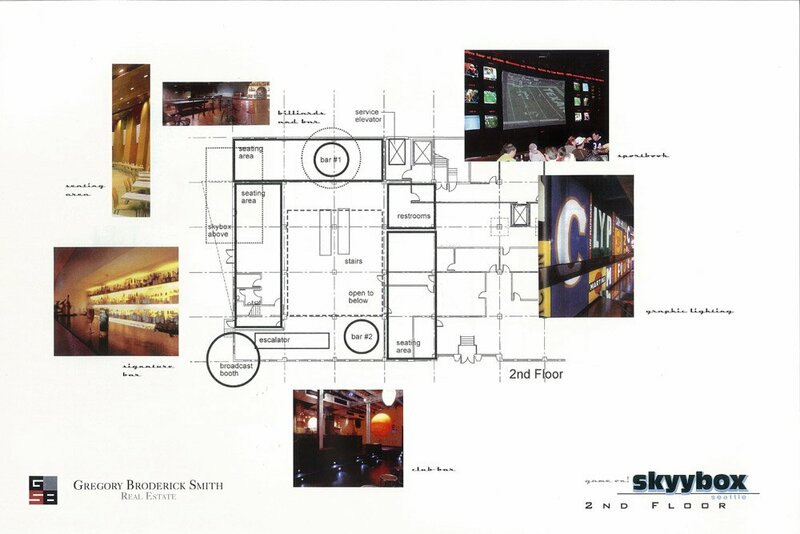 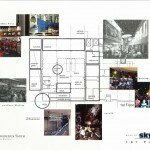 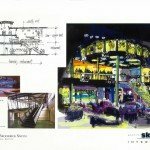 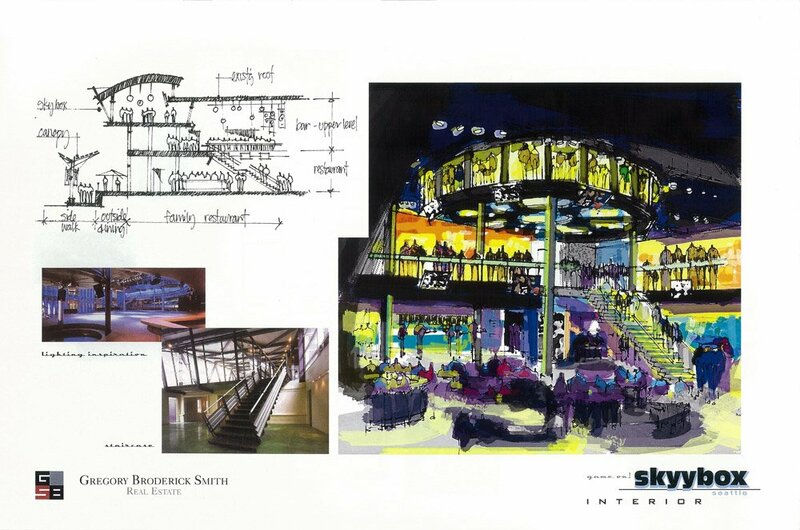 The Skybox sports entertainment and restaurant was a sophisticated sports bar concept for the purest sports fan. 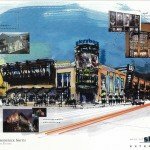 This proposal was for a 20,000 s.f. 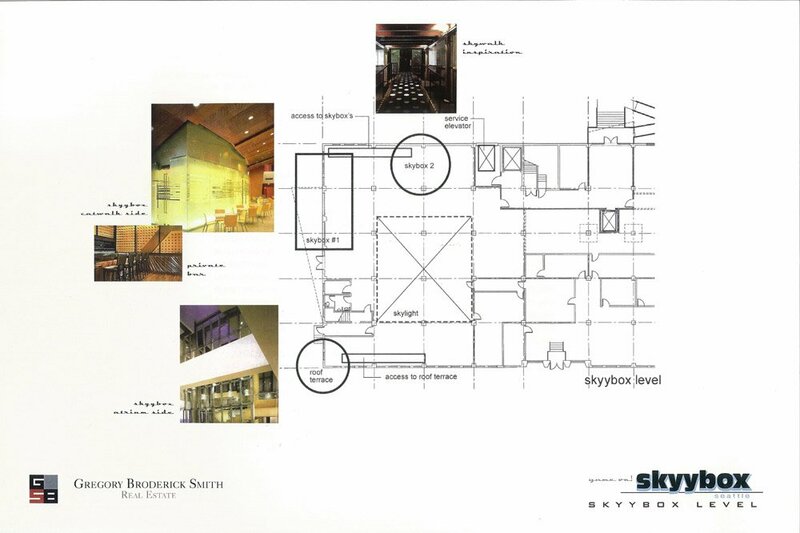 multi-level building in the heart of the SODO district in downtown Seattle. 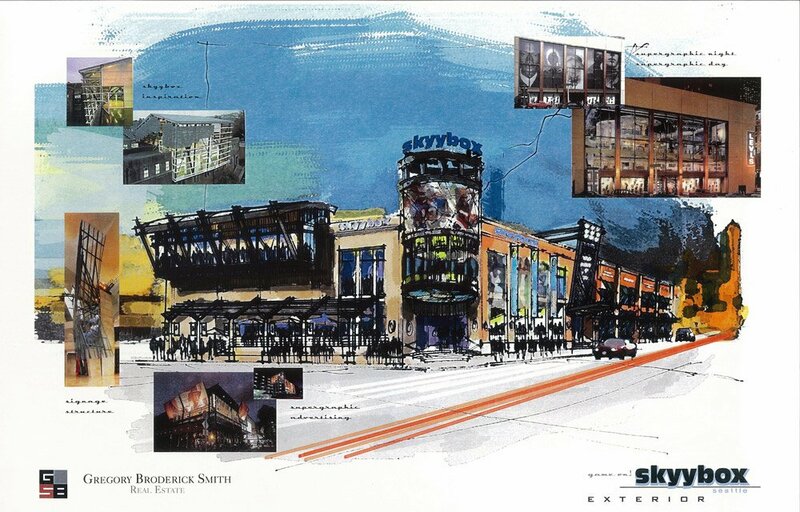 In the spirit of the visionary work that has been planned for the SODO district, Skybox highlights include: a family sit down restaurant, escalator service to a signature bar and skybox area, private suites with views of Safeco and the waterfront, a 20’x20’ exterior big screen scoreboard, a video/pool room arcade, multi-level seating, an outdoor full service dining area and an on-air broadcast booth.